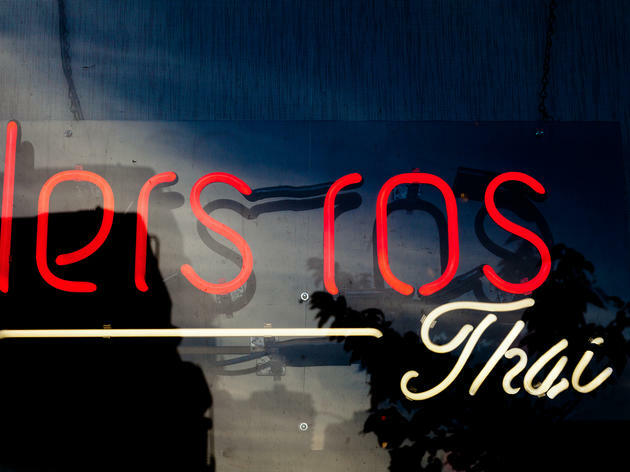 Don't let the hard-to-pronounce name (something approximating Lairt Rot, but with soft Ts) or the six-page menu deter you from trying owner-chef Tom Silargorn's take on Thai cuisine. Traditional curries, stir-fries and pad thai noodle dishes get original spins here in dishes such as Pad Kra Prow Moo Krob (pan-fried noodles with crispy pork belly), garlic and pepper rabbit, shredded green papaya salad with salted eggs, and Lers Ros's signature duck larb—a salad of roast duck, red onions and lettuce wedges seasoned with chili, herbs and tangy-salty lime dressing. 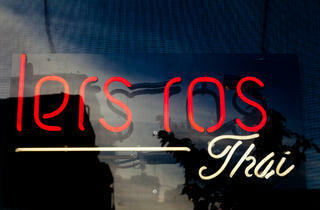 Since first opening in the Tenderloin, Lers Ros has added two, more upscale outlets in Hayes Valley and the Mission.